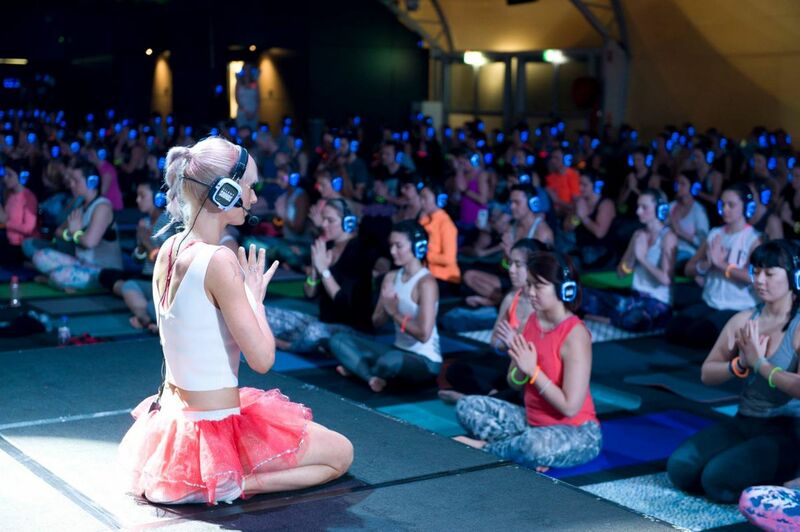 27th October 2016: The Flow After Dark – Yoga Silent Disco is a one of its kind event organized by the Flow Athletic Studios that promises to bring you an intense and unique experience involving yoga and music. Experience Yoga like never before as you put on headphones and listen to a wide variety of relaxing music while you perform yoga which will be demonstrated by an instructor. Get immersed in the mysteriously peaceful atmosphere which promises to boost your physical as well as mental well-being. So book your tickets now and get prepared for this soul-expanding experience only at the Sydney Flow After Dark. The Flow After Dark events have attracted the likes of Tom Burgess, Erin Holland, Liv Phyland, Lynzey Murphy, Lauren Hannaford and Scott Gooding to name a few. Kate Kendall, Australia’s most in demand yoga instructor will be taking the class along with DJ James Mack. The event features 90 minutes of all-level Vinyasa Yoga led by Flow Athletic co-founder, Kate Kendall, to the fluid beats of Sydney DJ, James Mack.